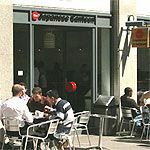 The Japanese Canteen is an informal restaurant offering a range of well priced Japanese dishes to eat in or take away. 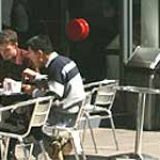 Do you work at The Japanese Canteen? 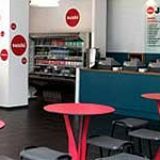 What did you think of The Japanese Canteen? This place gets massively busy at lunchtimes during the week as the city crowd descends for their take away lunches. I was one of these a couple of weeks ago and it was my first time at the place. I ordered the Chicken Teriyaki with rice and some prawn dumplings as a side. It's pretty expensive and I was expecting something better. It was perfectly edible but I imagine all the chicken dishes taste more or less the same. It was more like chicken with Soy Sauce. The dumplings were fine, although I realised on looking at my receipt that I'd been allocated Pork and not Prawn. I wasn't that bothered so stuck with the pork. I'd go there again at a push but would expect something better from somewhere so popular - they must be doing something right.